If you only wanted the short answer, there you have it. Thanks for stopping by. The long answer is more involved. If you’re anything like me, you’ve also tried in vain to explain this to folks who just don’t get it. We need to know what is happening in the world around us. If we don’t realize that St. Louis is erupting with violent protests, we may stumble into a dangerous situation. If we don’t understand that the Antifa communists are planning sedition beginning on November 4th, we may not be prepared to hunker down and avoid the chaos. If we aren’t aware that there is a retail apocalypse going on, we may be totally stunned when the economy all comes crashing down. It’s essential that we pay attention to the world around us because it is just a larger form of situational awareness. While those who live on a secluded mountaintop and never venture down to a town larger than 3000 people may not need to plan around current events, most of us do not live these lives of perfect isolation. We go to doctor’s appointments in large cities. We take vacations. We run errands and go shopping and work in town. We attend the theater and go to concerts. We need to know what’s going on. We need to know the trends of civil unrest and whether a controversial verdict is about to be handed down. Most of us don’t live in a safe bubble of our own making, and our awareness can help us be better prepared to avoid or deal with bad things. Even if you hate politics, it pays to know what’s going on. Many people avoid politics like a contagious disease. I agree completely that it’s all showmanship and that nearly all politicians are completely untrustworthy. That doesn’t mean I think they can be ignored though. The policies being made in Washington DC can affect us all, by parting us from more of our money or chipping away at our freedom. For example, if you knew that guns were going to be banned tomorrow, would it change what you do today? War is made by politicians, not by soldiers. They’ll get rich while we get poor and our children get killed. These are the thing we need to know. We need to understand WHY war is a racket, why Wall Street gets bailed out, and why health care we don’t want is getting forced on us. The people in office are making decisions that affect us all, whether we’d like to ignore them or not. We can learn so much about preparedness by studying actual events. Perhaps the most important reason that prepping and current events are inextricably linked is that the analysis of an event can be incredibly educational. Those of us with preparedness mentalities do this naturally. We think about what we’d do if we were in a situation that has occurred. We see what shortages have befallen people after an event and we adjust our preps accordingly. We watch the inevitable patterns so that we can predict what may happen next if one day we are in an emergency situation. If you were attending a concert and a sniper opened fire, would you have any idea what to do? Before the attack in Las Vegas, I certainly wouldn’t have. I watched videos repeatedly and saw the panic that probably caused more casualties. No one knew what to do or how to protect themselves as shot rained down on them. I analyzed these videos and talked to people much smarter and more experienced than I, and developed a plan if I ever have the misfortune to be present during such an event. How do things go down during an economic collapse? The collapse of Venezuela has been a real-time, years-long lesson in economic collapse. We have watched the government crackdowns, the propaganda, and the eventual seizure of food. We watched as the government completely gave up and told people they were on their own. We saw the horrifying conditions in the hospitals and the shortages that occurred, as well as the hyperinflation. If the United States was to go down this path, we know, to some degree, what we can expect. Remember that Ebola scare? Those of us who had been following the pandemic when it was over in Liberia were completely unsurprised when the guy in Texas was diagnosed with it. We were ready to go into lockdown when everyone else was panicking and unable to purchase supplies like respirator masks. Luckily the illness was contained but had it gotten worse, a lot of folks would have been completely out of luck. How long will it be before help arrives after a disaster? The aftermath of hurricanes Irma and Maria have been an enormous learning experience for any preppers who are paying attention. Parts of Florida were without power for a week, and Puerto Rico is without power indefinitely. All hell has broken loose in Puerto Rico and it is a struggle to survive. Aid took nearly two weeks to arrive to the island, giving us a glimpse of what it looks like when everything is gone. I know things now that never would have crossed my mind without spending time analyzing them. I look at disasters and emergencies from a totally different angle than I once did when I was merely a consumer of CNN. I know they happen and will keep happening, but by studying them, I can learn how better to prepare myself and my family. 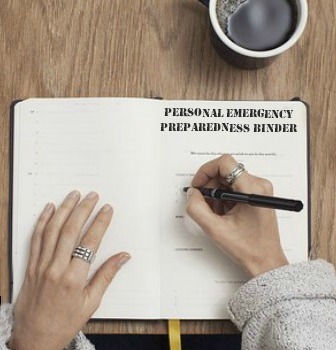 This is the entire reason I started my website, Preppers Daily News, because understanding these events and looking at them from different angles is such an opportunity for learning. 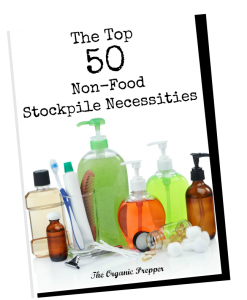 In my opinion, there’s a lot more to preparedness than stocking up enough food to ride out the apocalypse, growing vegetables, and knowing 17 ways to prepare squirrel. Preparedness is an aware way of going through life and analyzing day-to-day events. We are always learning and always evolving. No matter how safe and perfect our lives may seem today, we know that tomorrow something could happen that changes everything. Like many of you, I grow a huge garden, preserve my harvest to enjoy over the winter, and go shooting at every opportunity. I read voraciously about old-fashioned skills and apocalyptic scenarios. I have stashes of food in every room of the house and know multiple ways to purify water or start a fire. But the what-if mentality of a prepper is at the root of it all. I’ve been asking “what if” since I was a little kid (and probably driving my parents nuts with it) and I believe our ability to ask and answer that question is the key to everything. What more accurate way to learn “what if” could there be than to study real-life examples? They say that those who do not learn from history are doomed to repeat it. I believe that the same can be said about the events happening all around us right now.